NordVPN is a very popular VPN service with a large customer base. While it is highly recommended on many sites, it can be difficult to find honest information about this VPN provider. Is NordVPN secure (no leaks)? Do all of the features work correctly? Is it actually worth the price? As you can see with all of the screenshots below, NordVPN was extensively tested for this review to conclusively answer all of these questions. Now let’s examine the results. NordVPN is currently among the top recommendations in the best VPN report. It has earned the #2 position, just behind ExpressVPN, and has improved significantly over the past year with faster speeds and updated VPN apps. Although NordVPN offers pretty good speeds overall, I did find there to be some performance variability in the network. On a positive note, however, NordVPN speeds continue to improve as they add new servers to the network, which improves bandwidth for all users. NordVPN also does well in the features category with advanced leak protection, obfuscation to defeat VPN blocks, and specialized servers to offer more anonymity (see the double-VPN servers and Tor-over-VPN servers). NordVPN also continues to work with Netflix and other major streaming services. Overall NordVPN remains one of the top recommendations on Restore Privacy. It is a great all-around VPN for a variety of different users, and you certainly can’t beat the price or the 30 day money-back guarantee. As you can see in the test results below, NordVPN speed tests in Europe were all exceptionally fast. With servers in Germany I could essentially max out my ISP (baseline) speed. Here is another nearby server in Denmark that gave me speeds very close to my baseline test. And the last speed test for Europe was with a server in the United Kingdom. Once again, you can see that I am nearly maxing out my ISP baseline speed with a NordVPN server at 95 Mbps. As you can see, these are very impressive speed test results with all of the nearby servers in my region. For those in Europe or anyone needing a VPN for the UK, NordVPN would be an excellent choice. I also tested out NordVPN with a few servers in the United States and Canada (from my location in Germany). The first test I ran with a US server located near New York was rather slow. Fortunately, this slow test result was not the norm. I decided to manually select a different VPN server in the US, rather than letting the app auto-select the best server. I chose a server with slightly more load, but the speed test results were much better. I also tested a few servers in Canada. Just like with US servers, I found that the speeds could be somewhat variable. However, by manually selecting different servers from the last, it was easy to get good speeds (30-60 Mbps for Canadian servers). Conclusion on NordVPN speeds – These are the best speed test results I have recorded for NordVPN in the past three years (as both a personal user and also testing for NordVPN reviews). While the speeds can be a bit variable with some locations, I found it to be easy to find a fast server that will give you excellent speeds. NordVPN is one of the cheapest VPN services you will find (that is still good quality). 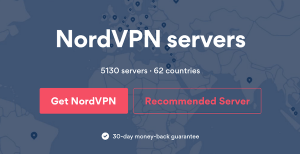 Right now NordVPN is extending a discounted three-year subscription price for Restore Privacy readers. While the duration is certainly long, the savings are indeed significant, at only $2.99 per month for the three-year plan (plus you get a 30 day refund window). You can pay with all major credit cards, Amazon Pay, Alipay, UnionPay, and even a variety of cryptocurrencies. Also note, NordVPN provides a 30 day money-back guarantee, which is quite generous for VPN standards. This is one of the best VPN trial windows you will find – see the free trial VPN guide for comparison. I put their refund policy to the test and they were quick to issue me a refund, within a few hours of my request (explained further below). NordVPN offers some solid features to enhance user privacy and security. Let’s take a look at a few of these features. NordVPN CyberSec is a security feature that includes a malicious sites filter and an advertisement and tracking blocker. I found it to work well in testing, effectively blocking all advertising domains on different sites that I visited. Perfect Privacy – Perfect Privacy offers a TrackStop feature to block ads, tracking, and malicious domains at the VPN server level. They also offer a parental filter and a new NeuroRouting feature, which is a dynamic multi-hop configuration. VyprVPN – VyprVPN offers a malicious sites filter that will block dangerous domains, but they do not yet provide ad blocking. NordVPN’s CyberSec feature seemed to do well with blocking ads in the basic tests I ran for this review. NordVPN is one of the few VPNs that is now offering two different kinds of kill switches. A kill switch is important because it blocks traffic if the VPN connection drops, which protects you from de-anonymization and your regular traffic being exposed. Internet Kill Switch – This will block all traffic if the VPN connection drops (recommended). App Kill Switch – This will close applications if the VPN connection drops, but will not block any traffic. 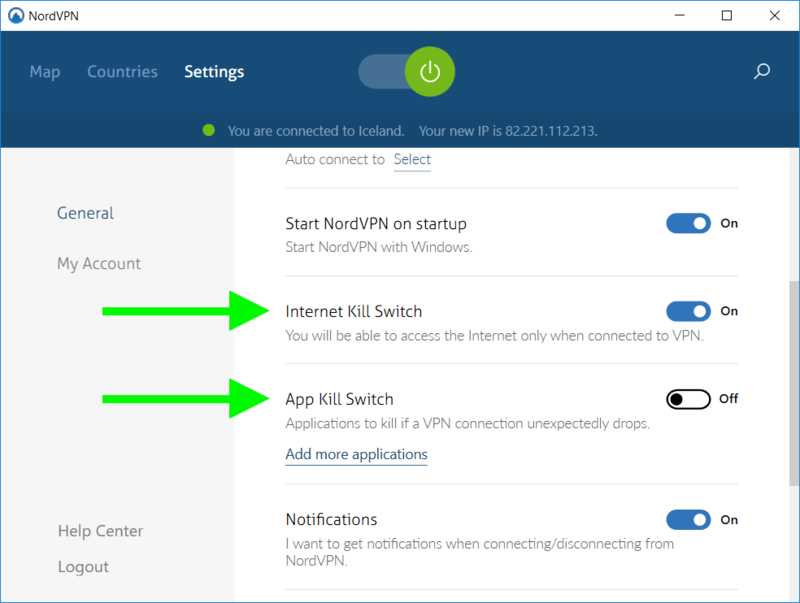 NordVPN offers two different kill switches. If you are concerned about IP address leaks it would probably be best to use the “Internet Kill Switch” as this will offer the most protection and block non-VPN traffic through the firewall. I tested the Internet Kill Switch and found it to effectively block traffic when there was not an active connection to a VPN server. Despite the drawbacks of the Tor network (namely slow speeds and the potential for IP address leaks), it can still be combined with a VPN for more privacy. Unfortunately, I found the Onion-over-VPN servers to be rather slow, but this is entirely due to the Tor network, which routes all traffic through three different Tor relays, thereby slowing everything down. Using a multi-hop VPN offers many advantages over a standard VPN setup (single server). If a server were to be targeted (monitored), a multi-hop VPN configuration would add further protection by helping to conceal incoming and/or outgoing traffic. NordVPN currently offers 16 double-hop VPN configurations, which they list on their website. For those wanting a higher level of privacy and security, the double-encryption is worth the performance tradeoff. You can learn more about the different features offered by NordVPN on their website here. NordVPN boasts a huge server network, which currently includes about 4,400 servers in about 60 countries. NordVPN has an extensive server network with locations all over the world. In the past year NordVPN has expanded and updated their server network to improve performance. This has resulted in less congestion and better speeds for all users. You can see real-time bandwidth stats for every server on the NordVPN website (see Servers in the navigation menu at the top). Obfuscated servers – NordVPN also has a nice lineup of obfuscated servers, which will automatically obfuscate (hide) all VPN traffic to look like regular HTTPS traffic. This is useful wherever VPNs may be getting blocked, as explained further in the China VPN guide. Yes. NordVPN continues to work well with Netflix, even though most VPNs are getting blocked by the service. With NordVPN you can get full access to American Netflix, UK Netflix, and some other regions as well. It is definitely a solid Netflix VPN considering the server selection and good performance. In the Netflix VPN guide I ran NordVPN through a number of real-world tests to see how well it unblocks Netflix. Overall NordVPN did very well in these tests – both unblocking Netflix and also giving me great speeds for streaming. NordVPN works well for streaming Netflix. You can check Netflix availability for the region you want to use on the NordVPN website. Is NordVPN good for torrenting? Yes. NordVPN is an excellent choice for torrenting because it is verified no logs VPN provider and there are zero restrictions on torrenting or P2P downloads. When torrenting with NordVPN, be sure to enable the kill switch to protect you in case the connection drops. This will ensure your real IP address stays protected and secure. You can also find guides on the NordVPN website showing you how to setup NordVPN with uTorrent and BitTorrent clients. See the VPN for torrenting guide for additional information. Does NordVPN use virtual server locations? For this NordVPN review I also checked a number of different servers to verify the true server location. Some VPNs use what they refer to as “virtual server locations“. One example of this would be a server in Singapore spoofing a location of Sri Lanka. This is easy for VPNs to do because they can declare any location they want for a range of IP addresses they purchase. To check for virtual server locations, you can simply ping the server from different data centers around the world and triangulate the location – see the steps outlined in this guide. I tested various NordVPN server locations all around the world and everything checked out. You can get the server URL from the NordVPN website (see Servers from the navigation menu). NordVPN does not appear to be using any virtual server locations. All of NordVPN’s server locations checked out. 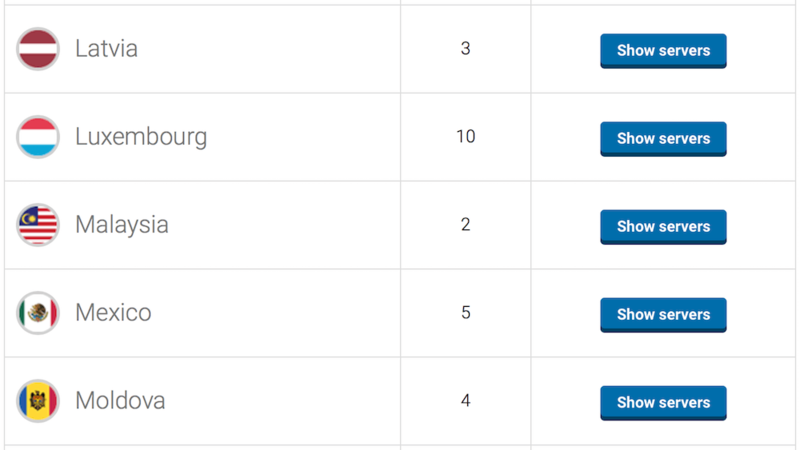 All of NordVPN’s servers appear to be in the advertised location (no virtual server locations). This is indeed a benefit for NordVPN users, while some VPNs rely heavily on virtual locations, such as PureVPN, for example. Once again, NordVPN has made some excellent improvements in the areas of privacy and security in the past year. Extensive testing did not find any leaks with the Windows or Mac OS apps. I tested the Windows and Mac OS clients using the basic VPN tests and checks with the site ipleak.net. No leaks – here is a test result showing everything working correctly with the NordVPN client (no leaks). You can see in the image above that the NordVPN Netherlands server is providing me with an IPv4 address, blocking IPv6, and handling DNS requests. The WebRTC leak results above are local IP addresses (not leaks). With the latest update to this review, it is clear that NordVPN has made some great security improvements with its Windows and Mac OS applications. Another important aspect in terms of privacy and security is NordVPN’s logging policy. As we covered in the no logs VPN guide, NordVPN is one of the few VPN services that has been verified to be truly no logs. In November 2018, NordVPN was audited by a reputable “Big 4” accounting firm to verify and certify NordVPN’s “no logs” policy. Unfortunately, the auditing firm is not allowing for the public release of the results, but existing NordVPN customers can view the report in the NordVPN member’s area. NordVPN was audited by a reputable (Big 4) accounting firm, which had full access to examine NordVPN’s servers, interview employees, observe operations, as well as inspect configurations, databases, and any other relevant aspect of the VPN service. The audit officially verified NordVPN to be a “no-log service” that remains true to its policies. NordVPN does not store connection logs, IP addresses, traffic logs, or any internet activity information. NordVPN strictly keeps no logs of your activity online. That means we do not track the time or duration of any online session, and neither do we keep logs of IP addresses or servers used, websites visited or files downloaded. In other words, none of your private and secure data is logged and gathered at any time. As a result, we are not able to provide any details about your behavior online, even if you request it yourself. NordVPN is based away from the EU and US jurisdiction and is not required to collect your personal data and information– it means nothing is recorded, monitored, stored, logged or passed to third parties. Overall, NordVPN is a solid choice if you are looking for a no logs VPN provider that has been verified. Can you install NordVPN on a router? NordVPN is also a good VPN to use on a router. I’ve tested many different VPN providers on various routers and put together an in-depth VPN router guide that answers most questions. Get a pre-configured router from an outlet such as Sabai Technology or FlashRouters. These will be somewhat expensive, but it will be ready to use with NordVPN right out of the box and pre-configured with the router firmware you need. Get a VPN-enabled router that can be used with a VPN without any flashing required. The best selection of VPN-enabled routers comes from Asus. Asus offers numerous routers that can be easily loaded with OpenVPN configuration files (from any VPN provider) and be working in just minutes. See my VPN router setup guide for simple instructions. Flash your existing router. This can be tricky and dangerous, so you will want to proceed with caution if you go down this route. The degree of difficulty will depend on the router you are using. Tip – When using NordVPN on a router, connect to the nearest server with the lightest load. Also, be sure to go with a router that has enough CPU to give you the speeds you need – see the VPN router guide for benchmark guidelines. The cost is for one year access to the dedicated/static IP. Despite the higher cost, NordVPN is among the best VPNs for a static IP. You can purchase a dedicated IP address by contacting NordVPN’s support to arrange the IP location and have them add it to your account. In previous NordVPN reviews, I found the support to be somewhat slow (email tickets with delayed responses). Fortunately, they now have full chat support and the representatives are quite helpful. Live chat is available 24/7 to answer any random questions you may have. Chat support is accessible directly on the NordVPN website in the bottom right corner. I initiated a few different chat sessions to bring up various issues and questions. It did not take long to connect with a representative (under a minute) and the support team was helpful in answering all my questions. NordVPN has significantly improved in the support category over the past year. As we discussed above, NordVPN offers a 30 day refund window, which is quite good for the VPN industry. There’s nothing too surprising here – every VPN reserves the right to suspend accounts for violations of their terms. Fast refund – NordVPN was very fast to refund my money after I initiated the request (same day). This is excellent customer service. Although I have heard about NordVPN wanting to troubleshoot issues before processing a refund, I did not experience that myself and I have never heard of a refund being denied. NordVPN is also one of the best values in the VPN industry with the current 75% off discount prices that drop the rate down to only $2.99 per month. And with the 30 day money-back guarantee, you can test the VPN risk-free to see if it works well for you. If you have used NordVPN, feel free to share your honest review (good or bad) below. It’s a great thought. A cheap vpn with all the extravagant features. But I assume that cheap is not always the best way to go, similar to free vpns. I’m not saying they log your information but as far as speed goes – it doesn’t even compare to the speeds that I’d get with ExpressVPN. Sure, the price wasn’t comparable but I couldn’t get stuck for 3 years with slow speeds. Youtube took forever to load, videos were always buffering – it was terrible. I tried different locations and different options. I suppose all the options are good for some people but I found it tedious. I just needed to connect to different locations (to watch location blocked videos) or just connect in general. Points go to customer service who was prompt in canceling my service and saying sorry that things didn’t work out. Love the security when using my phone away from home. But when attempting to use it on my Android box that uses Kodi for movies, tv shows and live streaming my speeds drop to DSL levels. Was in chat with one of their csr’s and he recommended that I change my dns server so I did and my speeds when using NordVPN continued to stay very slow; meanwhile my local isp is a cable/broadband company and my speeds without NordVPN are normally around 80-85mbps on average my monthly plan that I pay for is 150mbps. I have used another service called EasyVpn which is free and it responded faster than NordVPN. So with that being said I don’t understand why they are rated number 2 overall in vpn’s when their streaming speeds are basically non existent. My box needs to run at a minimum of 50mbps. Hi Chris, the review and ranking were based on the the latest test results, which you can see above: very good. You might try using other servers in your general area to see if speeds get better. I have been using Nordvpn for awhile now and have not seen an increase in speeds. I have a 300 Mbps download from my isp, but while using Nord I can only get at best 10 down. I have tried many different servers in North America and no difference. I would also like to see the use of obfuscated servers with a router set-up. The reason for the obfuscated servers is that no bank will let you access online services through a vpn. Are there better vpn’s that is a persons opinion, I am mostly satisfied with this service, but as I said there are still improvements that can be made. You need to use the Nor VPN IPs, change them in the Nord Virtual Nic and it will sail right along. what do you mean? I would love to find this out! I’ve been using NordVPN for over a year now and do not have any complaints. I’m an average user in the EU and I use a VPN because I eventually got fed up with European censorship of Youtube videos, social media, and various websites. EU governments also collect data with what normal people are up to online, just normal things like posting comments on social media, so I have ZERO trust and know that internet providers are cooperating to collect data. I use NordVPN on Windows for general internet browsing. Speeds are very good, I watch alot of videos on Youtube and never have any problems with speeds or picture quality. I like the Windows app, it is simple and has a good kill switch. The design is good and it just works. I also have NordVPN on my iPhone. Again, no problems, everything works for mobile browsing, videos, and more. I wanted to check out some different reviews before renewing my subscription, but you just can’t beat the price compared to other services that are good, will be renewing this week. I’m a Nord user myself, I use it to unblock Netflix mainly, but I became a little more suspicious lately in regards of search engines in general. I mean, how safe Google is privacy wise we already know, but I’m wondering if using a VPN extension makes it even slightly safer? Or should I just choose from alternatives to Google already? Using a VPN rather than an ISP [incl. Wi-Fi hotspots] to link to Google would mainly affect the IP address which Google logs when your device connects to Google’s servers. Connecting to Google via a search engine would add to Google’s profiling of the search engine*, unless your device adds more information beyond where Google has to send replies for your service provider to pass these back to your device. There are services which reveal what data can be lifted from your device upon connecting [eg Browserleaks], and there are browser extensions, even browsers, which claim to address one or more of these exfiltration techniques. Perhaps privacy conscious VPN services block some or all of this traffic, but I would expect that it would not be safe to rely on the service provider doing more than you could if you were lucky enough to track down the best information on the matter. Of course, a search engine which does not bombard its users with “relevant” advertising would not pose the problems which Google provides. Restore Privacy lists five alternatives [Startpage + four others] in the article, ‘Privacy Tools – How to Restore Your Online Privacy in 2019’! * When using the Startpage search engine, Google’s software selects its advertising on the basis of the location of the IP address of the server which makes the connection. Thus your Google searches are returned in the language you choose, but the adverts have been, often or mainly, in the language which is spoken by natives of the country where the server is located, unless your browser, device, or service provider, blocks all adverts. I’ve had NordVPN for about a year now, it serves its purpose for using through my windows PC and iphone. My beef is that they have not gone into supporting the Apple TV as yet. Unfortunately I have Bell’s Fibe modem which does not allow me to set up the vpn through the router (Home3000). It looks like I will be having 2 vpn services. I used NordVpn only during the 7 day trial. And i did not like it i hit cancel just on the fourth day. The speed varies alot. After hearing all this about Nordvpn being damn good well i got disappointed of it. On just the few hours of trying it i experienced drop connections or web pages not loading. I researched on how to fix my problem and did all guides that i found and the problem still continued. But i can something real positive about this. The damn torrenting speed are fantastic. If you want to torrent or something near it. This is your VPN people. After just shy of two months , I am able to connect to special servers again . It was a minor disappointment they took that long to fix it , but I am not complaining . The company has done me right and no service is perfect . Im still a happy User of NordVPN . Windows users were always able to connect I might mention . I have been a user of Nord VPN user for about a year now . However , here recently I am really disgruntled ,as I have not been able to connect to any of there special servers with Linux . I tried contacting customer support to little avail . There support is mainly non – tech people dealing with morons that cant get the service to work on Windows. They mainly just copy and paste the self help section of the Nord VPN site . They told me that I would have to use the special servers over OpenVPN – which I have no problem with mind you . However , that still did not work and I could not connect to even a regular server without a HUGE DNS leak on every server compared to there native app for Linux which didnt . After spending a good bit of time sending screen shots to support , they eventually basically told me they dont know what the problem is . They insinuated that there techs would fix the problem , but it has been about a month now and I still cant access special servers as I dont use Windows . I have been able to connect threw OpenVPN and there native app to special servers in the past with no problem . I still have about 9 months left on my subscription . I really still have no intention of dropping them , as I dont trust many other providers . They gave me a VERY good deal over the holidays , I only paid 48$ for a year . I had been paying month by month and they eventually e-mailed me with the special offer . I took advantage of it . I really have no choice but to give them time to fix it . If it takes to long though , I will opt for another provider though . Last december, i also suddenly wasn’t able to connect to the NordVPN-servers. Still don’t know why. However, i have several pc’s here and it didn’t take long to determine that the problem was on my own pc, not NordVPN. We weren’t able to find the cause, Removing and reinstalling the NordVPN-software and TAP-drivers didn’t help, so i resorted to reinstalling windows. Problem solved. Did you try connecting from another pc yet? As stated in review , I am not using Windows . I am using LINUX . Why would you use Terminal instead of the app? It’s quite awesome. Anyway, they do have a guide on your mentioned DNS leaks – https://support.nordvpn.com/1134945702. Just check whether the connection to normal server is without leaks after that. If it’s fine, let’s get into special servers. I’m assuming you’re talking about obfuscated ones. While I’m using the app NordVPN has released without issues – I have been using Obfuscation with Linux Terminal for over a year before the app came out. I have used a guide (might be troublesome for regular users tho) provided by the support, I have pasted it to the notepad for you here: https://shrib.com/#4t3PlU6wg4s3WzIvygcD. Every single line goes into Terminal and then connection can be made to specially made config files (Obfuscated ones). my experience so far has been dire to say the least. my nordvpn in china experience. Im currently subscribed to two other vpn services one Astrill the other socketpro which is a shadowsocks configuration sold by some tech savvy expats living in china. sometimes astrill stops working as in there is no internet feed and its clear the vpn is the issue. When this happens i need to choose another server. the shadowsocks also presents this problem, and although they dont have near as many servers as Astrill does, changing to another one usually gets the job done, and streams are reconnected and working fine. Of course there are some throttling of bandwidth with these vpns but that is to be expected. On both these vpns you can set some apps not to use the vpn, so obviously government unblocked feeds will function a lot quicker. Nordvpn i have used for the last two months, it works sometimes and not at others, when it fails to work, it is not as simple as just choosing a different server. as the connection often shows green, but that doesnt mean your internet is streaming, often you wait and wait and wait for a connection only to be falsely confident you are back online. this is most frustrating. The obfuscated servers are very sporadic in their success also. there is a help page for those of us in china which lists other servers to try, now in the two months of using this service, this recommended list has not changed. You can literally waste hours of your time going through each connection waiting for the inevitable ‘failed to connect’ message. OpenVPN was suggested to me by one of their support teams and after an afternoon and evening spent setting it up, it too has failed to connect to any server i choose. The only positive is the android app, it isnt bad. its not as good as Astrill or the shadowsocks option, but yeah it works most of the time. But for windows 10 systems i have nothing good to say about NordVPN. I started keeping a list of all the tech help folks at nordvpn who i have conversed with, i gave up keeping tabs once the list passed 30 people. they seem pleasant enough to try and help, but inevitably the conversation ends up with me getting yet another long list of servers to ‘try’ and as i work my way through i am encountered with more frustrations as each one fails. and i give up after ten or so as the hours tick by. Ive paid for three years so i will give it a go again when i have nothing better to do. in the meantime i certainly cannot recommend it in any shape or form other than the support chaps are polite. Overall, I genuinely do not have any complaints to speak of with NordVPN, and I STRONGLY recommend it to anyone. It’s super inexpensive too, especially if you get their one or two year subscriptions. It’s quite rare for me that I have such an incredible experience with any VPN service, but NordVPN has thoroughly impressed me time and time again. Great For What I Am Using It For . I cant speak for there speed so much , as my base speed is like 8mbps . At that speed , I really cant even tell that I am using a VPN with this service . I get my full speed even when I use there Double VPN feature . I have been using the service for about a year . My main usage for the service is piracy . I also do some other things that are not entirely legal . I have never had my account suspended or got a knock on the door . And I use it for these SAME purposes on a daily basis almost . At the end of the day , its all about what you are looking for . Nord is a VPN that has more of a focus on privacy and security than it does speed . I am one example that they dont keep logs . 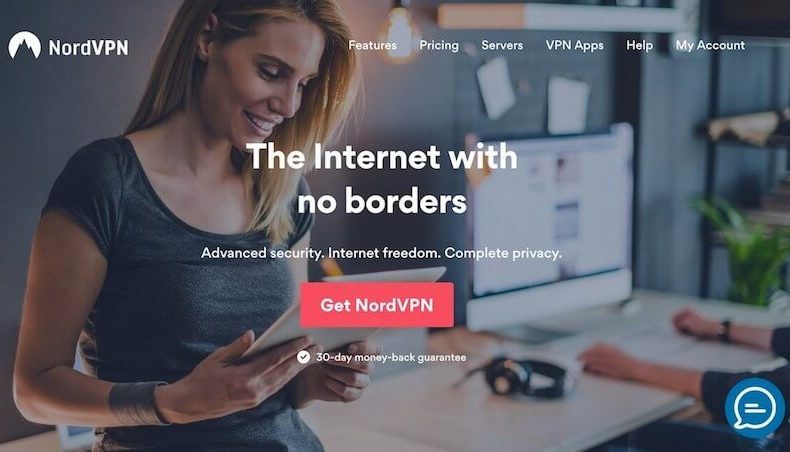 I have Nord Vpn until April of 2019.I love nord vpn for everything except the fact that The us servers or maybe even all the servers in north america are very bad. Usually without vpn on I get 230mbps down and 23 mbps up but with nord on with the “fastest server” on i got dropped to 9-mbps down and 5-mbps up which is unnacceptable. I also notice I get over 100mbps with nord vpn on a U.K server which is way farther away! Does this mean that the servers in North america are very slow? I used to have ipvanish but didn’t like them getting caught keeping logs. I’m coming close to my renewal and have been using NordVPN for the past year. I was considering going with a different VPN hence my interest in updated reviews. I can only speak from my experience, but NordVPN has been great for me on my Windows laptop. I had a few hiccups early on figuring out how to work the kill switch and getting everything setup correctly, but support was there to help me out and I have not had any issues since. It may have been due to my lack of technical ability, but for me, NordVPN is easy to use and I don’t notice any speed problems at all. I’ve never tried VPNs on my “smart phone” and don’t plan on doing so yet, since I don’t use it for online browsing. I will be renewing with Nord now that they have lowered the price with the cyber discount thing. I’ve been using Nord for a while already and I think their service is one of the best in the industry, but just recently I saw their add on TV. I’m not sure if I like the fact that a cyber security company is trying to gain attention on a medium like this. Shouldn’t they stay a bit more in the shadow of all the mainstream media? Any thoughts on this, Sven? The VPN market is getting very competitive and I’ve seen more VPNs across the board with many different providers. And he was able to access information about the 1989 Tianamen Sq. popular uprising. China of course says it never happened and videos of it were created by the CIA which is utter nonsense as I watched it live as did millions of others. Anyway, the Chinese people he knew were greatful to receive the info. No one there thinks the government there is legit. Have you seen that Nord actually received a speedtest.net badge for fastest VPN this year? It’s just that Speedtest doesn’t provide a lot of information about the methods they used to test it. Therefore, it’s interesting to see the results of your speed tests too. I personally noticed that Nord became faster quite recently and I was interested to know if it’s just me or if they really did something to improve the speed which wasn’t always great. I’m glad they’re sorting it out as I just renewed my subscription for another two years. However, they prohibit certain use cases (eg. using for shady and illegal stuff). It’s reasonable. But HOW would they know, if they don’t store any logs? They say they will block your account if someone report you, etc. I suspect they could also share your information to the police if they have to. I mean, I’m not going to use it for this kind of stuff, but doesn’t this rule mean they actually store logs and other information? How could they otherwise check this? The same is true for most of other VPNs. All VPNs have Terms of Service that basically say “don’t do bad things with our VPN”. A very small percentage of users may use VPNs for illegal activities, but if they are truly “no logs” then there’s not much the VPN can do about this. I don’t understand people crying about the speed. Every review site does testing and none of the reviews mention speed drops as big as some people in the comments below. I use Nord for ages and I never had issues like this. It’s normal for any vpn provider to reduce speed by about 30%, and that’s when you’re connecting to the most random server you can find. Normally, if I connect to a server which is relatively close to my location I barely notice any drop. Speed depends on various factors and you should try contacting CS, most likely problem exists on your end and they might be able to point out exactly what’s causing issues. Sometimes it just appears these comments are rigged and as a frequent tech sites visitor I’ve seen stuff like that about most of the providers, especially the ones on top of the recommended lists. I have used both PIA and NordVPN’s services and find them almost exactly the same as in the review above. And I am getting those results from the US, not the UK. Here’s the problem with NordVPN. I have been a customer for 6 months. They hide their chat capability. It is nowhere to be found on their website under Contact Us or anywhere else. Only once I am angry and posting publicly do they start to offer to talk about it. Too little, too late. I had a message from another NordVPN employee telling me Nord KNOWINGLY had a system-wide problem reaching Hulu. But NordVPN made no attempt to pop up a message to users attempting to connect to Hulu or posting a message on their website or sending out an e-mail or posting on the company blog. Nothing. Silence. Deafening. It was perfectly OK with their management to allow me to think I was the one with the problem on my computer when the whole time it was their company. But they kept what they knew a closely guarded secret. Because they knew such an admission in public was deadly to their reputation and sales. Not to mention that NordVPN cannot connect with Amazon at all. For at least 5 months that I have tried. Not just Amazon Prime streaming, but any part of Amazon. NordVPN admitted as much to me in an e-mail reply. Can’t even get to a log-in screen. Their response: “We’re working on it”. There are companies that work hard to compile the IP address of every VPN server in the world that they can locate. And then they sell the data to websites that want to put hard blocks on any incoming VPN connection. I switched to ExpressVPN. It is much faster. Some of Nord’s servers run at a glacial 8 Mbps download on an ISP that clocks at 35 Mbps without the VPN in the way. All the different protocols are built into one ExpressVPN application. Nord has many different apps for the different protocols. ExpressVPN makes it super easy to find a specific city’s servers. Express allows me to connect to Amazon in 2 seconds. One of Nord’s recent releases now makes it fast and easy to connect by the city. Apparently, ExpressVPN makes it a priority to stay one step ahead of all VPN blocking attempts, probably by frequently changing the IP address. Both NordVPN and ExpressVPN do a good job of managing to avoid IP leaks and shutting down WebRTC. I used NordVPN for 6 months and it was marginally OK. It connected to Hulu until last week, but with lots of buffering and freezes. I did see some gradual improvement at Nord, like getting rid of the mileage between me and their servers and making it really easy to connect to a city. And making the app more visually appealing. But ultimately, you get what you pay for. NordVPN is not bad, just not as good as ExpressVPN. ExpressVPN costs almost three times as much per month as NordVPN. But the difference is less than the cost of a cup of Starbucks. Which makes it worth it to me to switch to ExpressVPN for all the reasons mentioned above: speed, connectivity, software, and customer support. ExpressVPN is just better than Nord on all counts. If you cannot afford the extra $3.00 a month to get ExpressVPN, Nord is OK. But you will have problems reaching sites that aggressively block VPN’s. To their credit, after I posted my experiences with Nord on their blog, they waived their policy and refunded some of my money. I wish Nord would raise their rates slightly (something less than a dollar a month) and spend the money on a crash program to hire more engineers and support people so they can match ExpressVPN feature for feature at a slightly lower cost. And Nord needs to start posting their current server speeds and culling the slow servers. ExpressVPN has a built-in speed test so you can see the latency and speed of every server. I decided to give Nordvpn a try after signing up for 1 month – $16.79 CDN!! I was experiencing lots of troubles on my 2nd day using “Obus App” on Mac, my connection keeps dropping & re-connecting; servers for Asia countries (Taiwan/Korea/Hong Kong) were restricted, after contacting Nord support, they suggested I download “App from Apple Store”. Using Nordvpn app made for Apple (P2P), the speeds for Canada/US seems slow + Servers are always “Overload”; I connect to “Netherlands/Germany Servers” the speeds amazing…Despite there are lots of servers in Asia I had problems accessing many websites as they were blocked (I tired various Servers); certain sites (similar to Netflix it says “IP address is Blacklisted”) – I couldn’t watch my shows. Having to wait 48 hrs for Support to replied, I can’t see myself continuing my service with Nord. I decided to give VPN.ac a go, their Cust Support is *excellent (replied within 12hrs or less); compatible with Apple! I’m testing Nordvpn and not very happy. All works as expected, but connection speeds can change a lot for different servers in the same location, and for a server in a very short time, as does the server loads too. But what bugs me more is this: why (the Win app) is using my PC GPU at more than 12% also when I’m NOT VPN connected??? I can understand they’ve done some work to use GPU more than CPU for traffic when VPN is connected, but when it’s not what is it doing? I bought NordVPN a couple of days ago, and have found it generally works pretty well. Firstly, their ‘auto-select server’ doesn’t necessarily select the fastest server. I found my speeds double when I disconnect from the ‘default’ server and connect to a different server. On doing so, speeds can be surprisingly close to non-VPN speeds, which is a massive improvement over NordVPN speeds a year or two ago. Secondly, and probably unrelated to NordVPN itself, if you are excited about the KILL SWITCH function, Huawei users should beware that the feature doesn’t appear to be available on Huawei devices. My Huawei Mate 10 Pro doesn’t support it, and NordVPN’s live chat support-person explained to me that as far as they’re aware, Huawei devices don’t support the feature. Lastly, when viewing the server list, none of the servers show speeds beside them, so this together with the poor ‘default’ speeds, means finding a decent server can be somewhat of an annoyance. I find this review accurate and similar to the experience I had with them. I’ve tried a few other providers before but when I went to customer support, it always seemed like I was getting an automated response rather than getting a response from a real person. However, when I contacted Nord about the Netflix issue I had at the time (it seems that Netflix blocks VPN servers all the time), they were professional and quick to solve the problem. It does take a bit of time to find a server that works with netflix but once connected, the speed is fine. I signed up on NordVPN after reading good reviews in different websites. The problem in those reviews though is that they are written based on shallow usage, the reviewers usually just installed to test it out and uninstalled afterwards. My recommendation as a real customer is: don’t go for them. Their VPN doesn’t work for multiple sites I’ve tried. And it’s not that the website blocks all VPNs cause another VPN provider worked properly on those sites (not telling which as I’m not affiliated to them in any way.). And even after telling them that the websites X , Y and Z didn’t work with them but worked with their competitor they wouldn’t refund me because their TOS says so. Ridiculous. They advertise something, we buy it, they don’t deliver and also don’t refund us even partially. So I’m doing what I can: writing reviews everywhere to help people avoid falling in the same trap I did. So much for their no hassle refund policy some have claimed. That’s why it’s very important to read the TOS, regardless of what people say. The money back guarantee should be unconditional during the trial period. Either you got unfortunate with the Support Member, or you didn’t specify, that it was after the 30 day trial period. Their terms of service (as of March 2018) do not exclude any kind of problems from being eligible for a refund. But you are right. If you want to use Sites who may block VPNs you should use smaller, or lesser known VPNs. I’ve tried quite a few different providers in the past and there definitely were some good ones. I’ve changed services merely by looking for a better price or some certain features and right now I have a subscription with Nordvpn. I find it quite reliable and the service is consistent. Regarding speed – it’s very easy to switch through some servers to find the quickest one depending on your location, but I didn’t notice major slowness on any of the servers so far. I’d prefer to be able to select a server by city rather than by number though. There seems to be many issues with Nord VPN. I feel that it cannot be trusted. Since putting this program onto my computer, having purchased it for the second time, I have had to reinstall my OS more than once because of glitches and security issues. Obviously Nord VPN is being targeted and they do not seem to be keeping on top of it, that or their IT department is not troubleshooting properly. For me it’s been a total waste of money. Something that should be trusted cannot be. I’m about to erase and reinstall my OS and I will go and find another company. For me this has been a very frustrating experience. A waste of time and money. It may work for some but here, it has been nothing but trouble. I am on a Mac. Update: I have now bought another VPN and Nord VPN can retain the money for the remaining time that I was supposed to be with them. Trust in software that the average consumer knows nothing about is essential. I hope it works for others better than it has for me. A year ago I bought a Nordvpn subscription and now since it’s about to end I was doing some research on VPNs trying to find a reasonable deal. As far as I can remember Nord had just around 2000 servers at the same time last year(correct me if I’m wrong), and now it’s over 4000 and a few more features have been added. Of course over a year had some minor problems connecting to Netflix which was solved when I reached out to their customer support, but still, the price seems to be by far the best proposition taking into consideration how secure and reliable their product is – at least better than some of the others. I got NordVPN some time ago and I was pissed off that it didn’t work with Amazon – no matter what I did or which server I connected to. Anyway, this issue was resolved last week and now it works. Other than that, didn’t have any problems with the service. I think that it’s a good VPN service for a decent price. Thanks for all your excellent reviews Sven, good stuff. There is currently still a problem accessing Amazon while connected to NordVPN. I initially thought this was just a problem with my connection or with Amazon. Then I read multiple other posts about this problem. The recommended solution from Nord is to switch to the Canadian servers, but that is what I do by default (and I’m in Canada), and there are still tons of page loading errors and problems. Nord is aware of this on their US servers but the Canadian issue is a new thing. Amazon is blocking Nord in an attempt to fight fraud as people have been apparently connecting to different Amazon domains form different Nord IP’s to spoof locations for better pricing on purchases. The Amazon problem didn’t exist for me with other VPN’s I’ve used. My first week with Nord has been hit and miss. It’s inconsistent. What works for one hour doesn’t seem to work the next. I’ve tried both their native client and setting it up on OpenVPN client 2.45. I’ve spent a fair bit of time troubleshooting. Having used VPN’s for about 7 or 8 years there are pros and cons to each I’ve tried that are particular to setup and geographic location. So Nord is iffy at best in my situation, while others report great success with it. One thing I’d say about Nord … by introducing so many servers Nord has solved the server load problem, but it sets up potential site verification problems as a site ID’s a user accessing from so many different locations as they are switching to find better speed, lower latency, avoiding site site blocks on shared IP’s etc. It’s a constant balancing act. For me I’d even take a small speed hit for something that’s more reliable that doesn’t require constant server switching. I’m considering going the refund route with Nord and trying ExpressVPN next. I am admittedly new to all of this online security stuff, but I downloaded ExpressVPN and NordVPN on my laptop and cellphone to try each out. I live in Dallas, TX., so having servers in my area for speed is important to me. You, and most other reviewers elsewhere online praise ExpressVPN for having faster servers than NordVPN and other VPN providers, but my experience has been significantly different. As a baseline, without VPN, my home router speeds on my laptop and cellphones were typically around 120 mbps (laptop) and in the mid 50s mbps (smartphone), and Express REALLY struggled vs Nord. Express typically averaged in the 70s on my laptop and in the 30s on my phone, whereas Nord averaged 113 mbps on my laptop and in the low 50s on my phone. I did, on average, five tests with each device and VPN provider. I really preferred Express’ simple interface on my laptop and smartphone apps, so I wanted Express to win, but Nord absolutely demolished Express in terms of speed. On Nord’s apps, there appear to be almost 70 servers in Dallas, whereas with Express there are just 2, from what I saw on the apps. Perhaps this contributes to the large discrepancy in speed. Granted, I’m a total newb at all of this, but for my money, NordVPN kills Express in the Dallas/Ft. Worth area. I am very happy with the nordvpn service, it has great speeds and doesn’t leak any personal data. Sometimes there are problems with accessing US/UK netflix, but they fix it within a couple of hours or max. a day. After all, it is a continuous battle between netflix and the vpn providers. Also multiple devices can be connected at the same time. I also always find their online support to be very competent and friendly. I am not a vpn expert, but from my point of view (average internet/vpn user =streaming, downloading,unblock georestricted content), it’s perfect, I really don’t have any complaints. I agree that the service has made improvements. At least to me, the server speeds are great, all of my streaming is not buffered and throttled. Also, they managed to add hundreds of servers in very short notice. I’m using it mostly for torrenting and it appears to be really reliable and fast. Usually, I’m getting around 80-85 on 100 line what is IMHO very good. For browsing, I use chrome extension. So far all good and I would recommend. 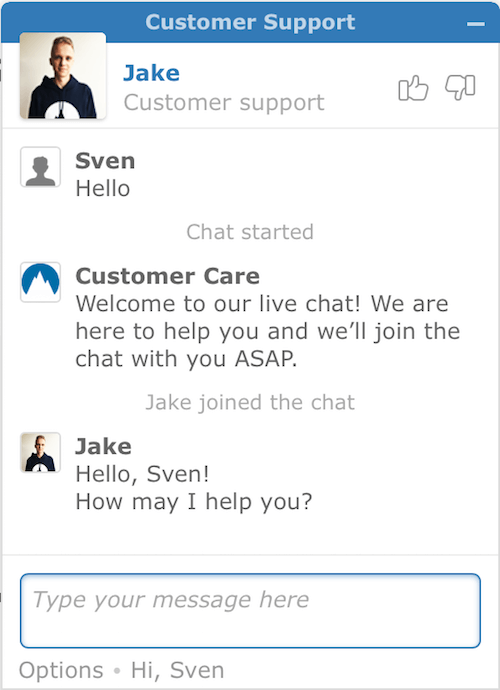 Btw customer care is really friendly and responsive with the chat. I have been using nordvpn for already a year and I was traveling a lot so I would say it serves me well. Has many features and servers so I was always able to access content in full speed. It even works with Netflix, no troubles at all.